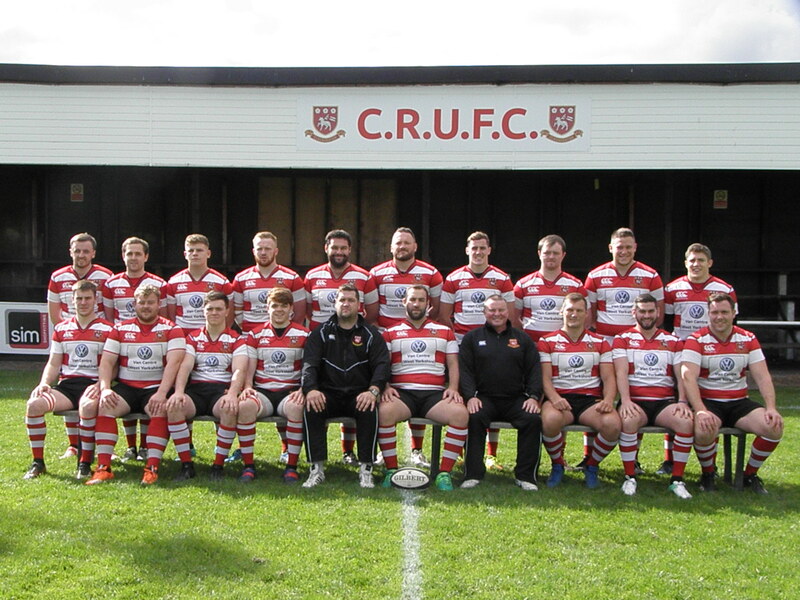 Cleckheaton went out of the famous old cup competition at an inclement Moorend last Saturday but can hold their heads high with promising displays from several young players. This was always going to be a stiff test of character with six players under 21 and for nineteen year old Matt Beasty, making his first start for the 1st XV, a true test of character in the unforgiving position of second row. That the youngster played all but the last ten minutes of the match is testimony to his resilience and attitude. A fine debut and his day will come. Huddersfield were serious in their intent, a marked contrast to the disrespectful way several clubs have already pulled out of the competition stating league priorities as an excuse. Conditions were hardly conducive to fast open rugby but both sides showed admirable skills in front of a crowd almost exclusively huddled together under the shelter of the stand. Huddersfield were first on the scoreboard when Adam Sutcliffe went over for a try which England Counties fly half Chris Johnson failed to convert. Two minutes later Cleckheaton responded when Matt Burrows gained a clean line out catch, the ball was driven on and Tom Clough dived over for his second try of the season. The young eighteen year old is learning with every game and a full eighty minutes under his belt in this game will have increased his confidence no end. Ross Hayden put Cleck in the lead with the conversion. Huddersfield started to use the elements to their favour and in the space of fifteen minutes appeared to put the game out of the grasp of the home side with two further tries both of which were converted by Johnson. On the stroke of half time Johnson made the score 22-7 with his first successful penalty. Cleckheaton had the elements in their favour in the second half and needed to play a tight game with long kicks to make the Huddersfield back three turn on the deteriorating surface. However, the pack had first to secure possession and this was proving difficult against an energetic defence and a well drilled forward unit. The old faults started to show with too much rugby being played in their own 22, mistakes gifting Huddersfield with too much easy ball. As the half wore on and the referee appearing to be exercising an early Christmas present rather too often, Cleck increased the pressure territorially and as the game ran into injury time the ageless Neil Gillan, who had entered the fray only five minutes previously, emerged smiling from a ruck having been awarded a try. Ross Hayden converted and Cleck had their just rewards. This was a competitive encounter and a tribute to both sides for producing such a performance in testing conditions. On a day when games were called off and players preferred to watch the internationals on television it was pleasing to note that Cleckheaton played three senior matches, the Kestrels just losing at York by a point, the thirds defeating Heath and Colin Thompson's fourth team being denied a game despite having a full complement of players, by Huddersfield Vets crying off at the last minute. Rugby Union is fit and well in the Spen Valley.